A convicted felon, who worked as a contract driver for FedEx, was arrested Wednesday on suspicion of burglarizing three San Mateo County homes while on the job. Kevin Baker, 57, of Hayward, is accused of first burglarizing an Atherton home on Orchard Hills Street around 1:30 p.m. May 3. His second crime was in the 200 block of Park Lane, also in Atherton, at 1:20 p.m. May 5, according to police. Police said Baker also burglarized a Menlo Park home in the 1100 block of Trinity Drive at 7 p.m. May 17. However, Baker’s criminal history includes various theft-related offenses, police said. Police believe open and unlocked doors proved to be too much of a temptation for the driver delivering packages in Atherton and Menlo Park. 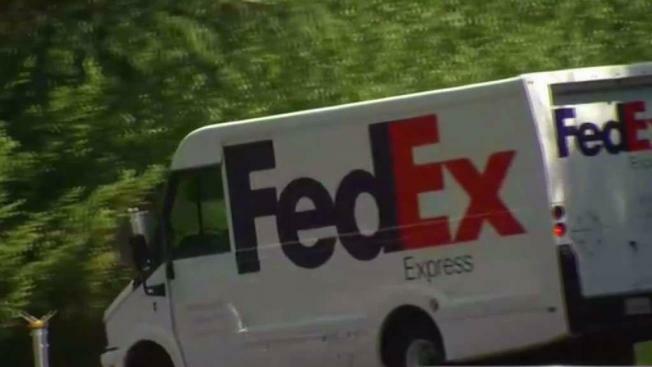 "Yeah, I don't know about FedEx's hiring practices, but it appears he broke in while on his rounds," a district attorney representative said Wednesday. When pressed on FedEx's policy on background checks, company spokeswoman Meredit Miller said, "Businesses providing service on behalf of FedEx Ground contractually agree to comply with all applicable employment laws related to their drivers and must conduct a background check that includes a review of driving record and criminal history. "We can confirm that this driver is no longer providing service on behalf FedEx Ground." Bail is set at $150,000, and Baker was expected to appear in San Mateo County Superior Court later Wednesday.